For a train journey the other day, I needed a book that would fit easily into my pocket. I decided to choose randomly from my library. Spinning around and pointing my finger, I arrived at a little book I had possessed for many years always intending to read it but never getting round to it – there are a few of those to be going on with. 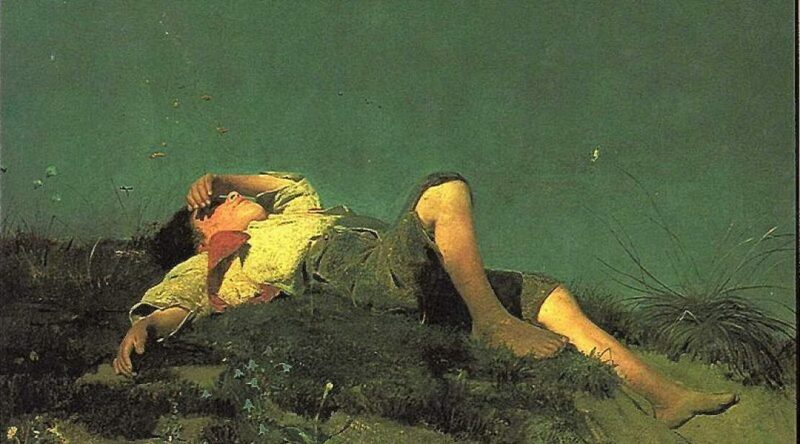 The book was John Ruskin’s Frondes Agrestes which my schoolboy Latin works out to mean roughly Leaves of the Field. The first fifty pages yield up a lot of interesting things which, it suddenly became clear to me, make for at least a provisional description of the necessary attributes of a true haiku writer; I had not at all anticipated this outcome from my train journey! It seemed similar to the happy accident that makes a haiku. For a start, Ruskin (1819-1900) asked one of his ‘dearest friends’ whose name is strangely not mentioned in the book itself, but who, we are told, ‘…in advanced age retains the cheerfulness and easily delighted temper of bright youth’, to add to a collection of passages from his big work Modern Painters she’d already copied out for her own benefit so as to make a little new anthology. 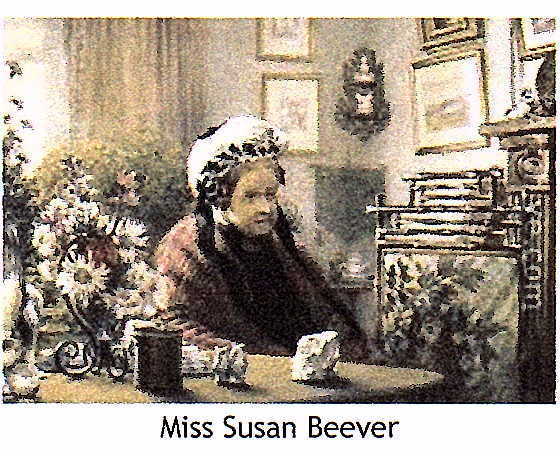 It seems he had met Susan Beever (1805-1893) in 1873; they became close friends and wrote daily about nature, art & animals. Ruskin is buried in Coniston in the English Lake District beside her. 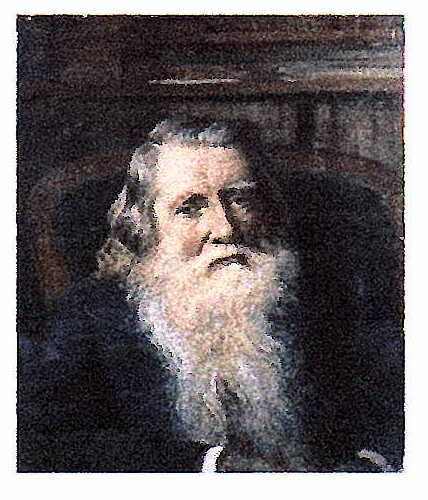 Frondes Agrestes consists of all her selections with Ruskin’s comments in footnotes written by him aged 55, relating to parts of the original text written when he was 24. Looking back at one’s own past scribblings is always a strange experience! But well worth doing regularly I find: a diligent awareness of the significance of words related to oneself, a passion for recording things of moment for future reference, a keenness for extracting meaning from one time apparently insignificant things – these are necessary contributions to the growth of the haiku-spirit. She who habituates herself in her daily life to seek for the stern facts in whatever she hears or sees, will have these facts again brought before her by the involuntary imaginative power, in their noblest associations; and she who seeks for frivolities and fallacies, will have frivolities and fallacies again presented to her in her dreams. By ‘facts’ I take it that Ruskin is not being a Gradgrind but is simply referring to things as they are, unfiltered by preconceived notions; in any case identification with ‘frivolities and fallacies’, ‘A Influences’ in Gurdjieff’s terms, like sport, ambition, and all kinds of what is conventionally described as fun, is bound to result in an A influence mentality, focussed, for example, on making a name for oneself or cornering a market in something new-fangled or building an empire. Our new educational primer will optimistically help to prevent people sinking into the slough of meaninglessness, with great benefits for civilisation. As a start one might practise cleansing the six senses of all the presuppositions that get in the way of registering what’s ‘out there’ so that it appears once more in its original pristine form. Gurdjieff refers to all impressions we take in as the highest form of food, a long way above fish & chips. The reception of pure impressions helps us see/hear/feel things as they really are instead of their being channelled down the old ways with all the old associations obstructing progress. Seeking the purity of impressions has the effect of clearing the mind of its dross. Being like ‘a disembodied spirit’ reminds me of Leonardo da Vinci’s advice to ‘be like smoke’ (sfumato) that wafts from a bonfire, a facility that enables you to enter everything without disturbing it in the least, to see behind, below, roundabout, to see all things as they are in utter reality without at all disturbing them. True haiku happen when there is no gap between observer and observed; when you enter into the thing itself. This is what Bashō always advocated; it is Zen-think. Perhaps the result of applying the above taxonomy is to become a creature endowed with humility – or perhaps one would need to be thus endowed to see the sense of taking the items in the taxonomy seriously for oneself. Perhaps it is systemic: first take some of the items in the taxonomy into your soul, then practise them, developing the humility to do so, which will in turn help you to take the rest of the items on board. Humility is an attribute Ruskin much admires, by which he does not mean ‘doubt of her own power, or hesitation of speaking opinions; but a right understanding of the relation between what she can do and say, and the rest of the world’s sayings and doings…’ Knowing what you’re at, knowing that you are right but not thinking ‘much of [yourself] on that account…’ Not wanting to laud it over others but just pursuing a quiet path towards understanding. People operating with humility ‘…do not expect their [associates]… to fall down and worship them. They have a curious under-sense of powerlessness, feeling that greatness is not in them, but [perhaps] through them… and are endlessly, foolishly, incredibly merciful…’ Humility holds back from describing feelings, says Ruskin; she ‘…tells you whom she met, and what they said, leaving you to make out from that what they feel… but goes into little detail…’ It’s easy to indulge oneself in expressing feelings openly but much more difficult to maintain ‘…plain recording of what people said, and did…’ It’s difficult to observe without ruminating and desiring to include the expression of an opinion which comes from what Gurdjieff called ‘Internal Considering’, the conjuring up of ‘False Imagination’. The lurch towards ‘phone-ins’ in the last twenty years, say, which encourage the desire to ‘have your say’ (as though it were likely to be of significance) works against humility. Burying your thinking in abstractions is an easy capitulation to group think – ultimately it starts wars which have the aim of establishing ‘democracy’ or fighting for ‘freedom’ (two prime abstractions or ‘category mistakes’ in Ryle’s terms – failure to focus on the right things). Unpack abstractions into specific actions & examples that are lazily dumped under what sound like beefy headings. I always remember Shiki’s advice to the haiku novice to look down at the violet at your feet and then look up at the distant mountain – conditions for haiku are thus created. Here is Ruskin describing the same kind of process: one can go from scrutinising the nearby spider’s web to comparing it to the similar grey film of a mountain on the distant horizon and suddenly experience some obscure inexpressible feeling – an other-than-conscious awareness of being connected with the cosmos is a possibility. This is haiku intelligence or ‘spirit’, if you like. Ruskin suggests that this is the power of imagination, the facility we have of marshalling images that represent the way things are rather than the creation of what’s not there. 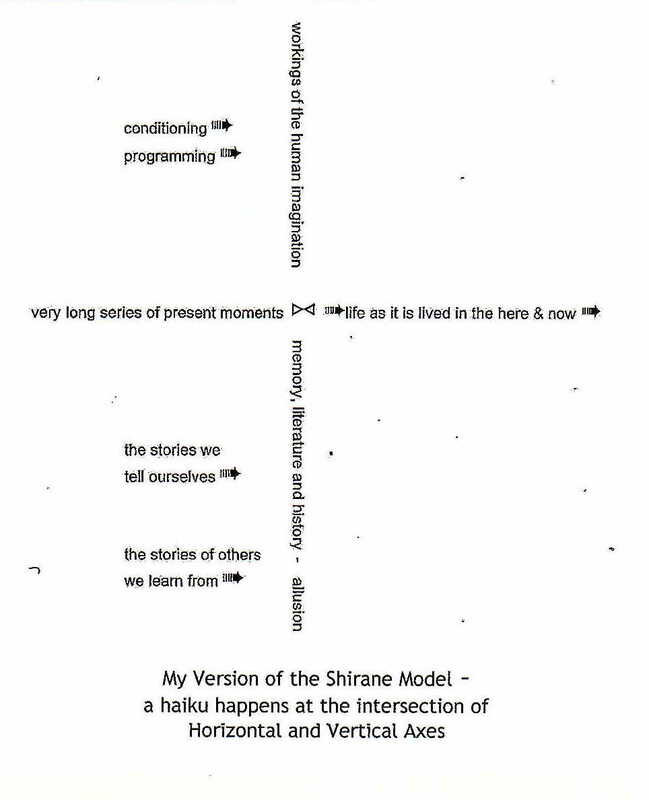 His analysis perfectly fits Haruo Shirane‘s Horizontal/Vertical Axis model for haiku writing. It is in quiet and subdued passages of unobtrusive majesty, the deep and the calm, and the perpetual; that which must be sought ere it is seen, and loved, ere it is understood ; things which the angels work out for us daily, and yet vary eternally; which are never wanting, and never repeated; which are to be found always, yet each found but once; it is through these that the lesson of devotion is chiefly taught, and the blessing of beauty given. Ruskin often strays into some kind of peculiar religiosity but if we take ‘angels’ as meaning what the original Greek gives us they are just ‘messengers’ – in the case of haiku they simply present us with gifts. Posted in Books, Civilisation, Education, Gurdjieff, Haiku, The Fourth Way, Thinking.Tagged Frenkel-Brunswick, Gilbert Ryle, Gurdjieff, John Ruskin, Leonardo da Vinci, Shiki, Zen. I wish there was a train that could swallow the darkness inside every smart-phone and e-gadget, leaving my children and the rest of the world a grand stoppage in time, a miraculous slowing down of impulses and intimations to hold their phones like a junkie holds their heroin, the centre cannot hold. After reading Colin’s glob a few times and allowing for some musing on my part, I felt it was time to write something about this marvelous bit of reflection, the word Pre-Conditions rolling around in my brain. And what is a true haiku writer my friends? When I was an undergrad my creative writing professors did not encourage we write haiku poems, they were placed up high on a pedestal far out of our reach, and instead we were asked to try our hand on writing a couple of haiku, but not to become too enamored with this ancient and foreign form of poetry. It wasn’t until years later, around the age of 52 when I began reading some of Gurdjieff’s books and became friends with Colin Blundell that “I” changed my ideas concerning haiku and it was then that I began my attempts to write a decent haiku poem. “Spinning around and pointing my finger, I arrived at a little book.” this “happy accident” holds within it some of the spirit necessary for writing haiku, this I can’t explain, it must be understood after many unhappy accidents. John Ruskin’s Fronte Agrestes or ‘Leaves of the Field” is the jumping off place for much of this essay, along with Susan Beever who Ruskin writes possesses a “delightful temper of bright youth.” She is like Ruskin’s muse and moves along like an undercurrent of joyous spirit, dropping pearls of inspiration for us to digest along the way.
. laments continually that it cannot completely reflect nor clearly utter all it has seen. Humility: This energy moves through us, it’s not in us, a curious paradox. Our internal story falls away allowing for something new, maybe even genius is evoked. Music: Beauty may cause the transposing of language into music, Time may seem to stop, as we enter a timeless scene awake to a remorse of conscious for those who came before, for those eternal crossroads that we wish to touch, it may be why the true spirit of haiku came to Be. How do we determine what our own Pre-Conditions are? I will let you determine the many wonderful things I’ve left out, especially all those things that will come much later, maybe before sleep takes me tonight, or a moment after I send this out, all those finer threads of light just out of reach. Thanks for this lovely reflection, Patrick. Strikes me the key question is your really tricky one : How do we determine what our own Pre-Conditions are? How do we build such things into our system in order to modify long-time programming which may well put up resistance? You may well have asked the eternal question concerning creativity, this is why I was taken aback by your glob, it’s one of the big questions but like a long conversation that stretches back to ancient times, something compelled me to give it a go. I found my own state of being a bit flat as I struggled on and this is revealed in my reflection. But this question, “How do we build such things into our system in order to modify long term programming which may well put up resistance?” shifts our perspective into a psycho/spiritual dimension. How did we who grew up in homes opposite from one another on the outside, come to such things that offer a robust spirit to help us navigate this world? What was it that attracted us to an artistic sensibility– loneliness, romantic failure, an eye for the strange and beautiful?